Though the overall display design has been seen before, the Blistex Best Lips Bonus Pack Merchandising is a new approach. This is a self-contained BOGO in a single package. A pop-up triangular base and Gravity Feed Top make it all happen. 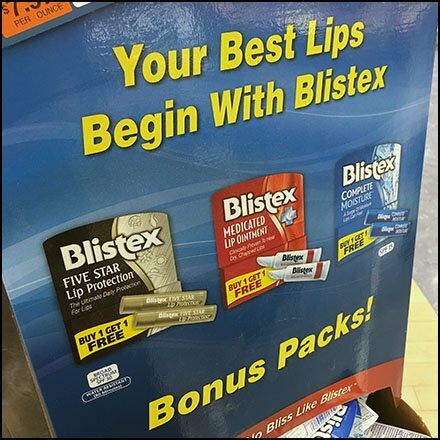 Consider this Blistex Best Lips Bonus Pack Merchandising in the gallery of images. Seen at Giant Markets, Bartonsville, Pocono Mountains, Pennsylvania.